The Waite Campus is the place to be on Thursday 1 November 2018! 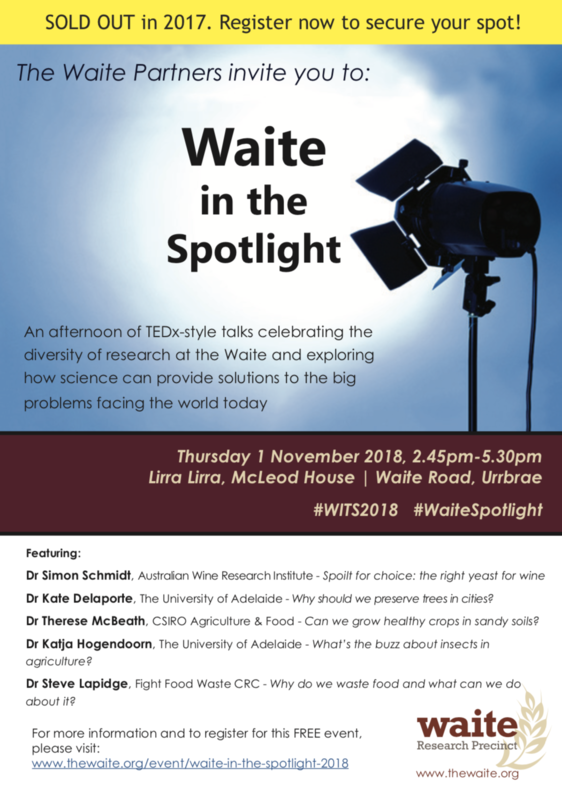 Not only famous for it’s ‘One Day Wine Sale’, Waite will also be hosting it’s third annual ‘Waite in the Spotlight’ event at Lirra Lirra. 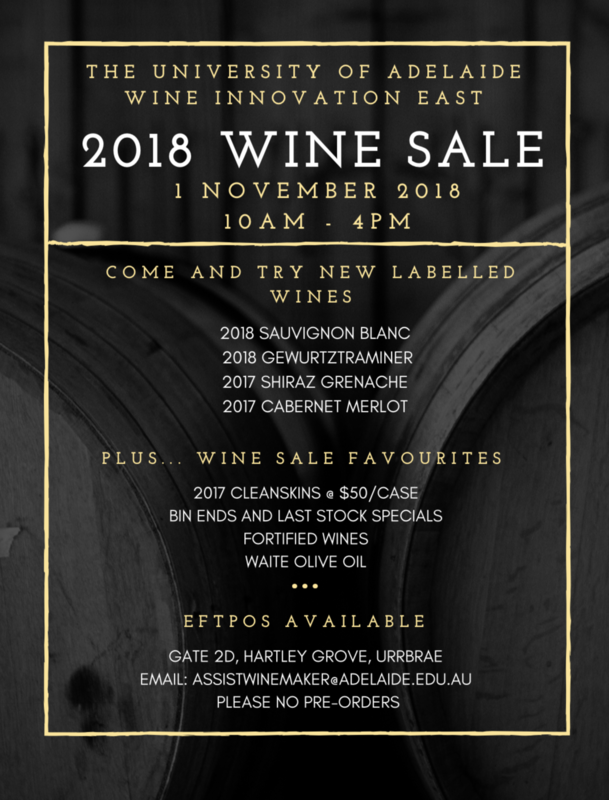 This is your chance to stock up on wines from the University of Adelaide ahead of the festive season, then stay on for the afternoon to help celebrate the diversity of research at the Waite. Networking drinks and nibbles will be provided afterwards. 2.45pm Thursday 1 November, Lirra Lirra, Waite Road, Waite Campus. Waite research is providing answers to these questions and more! 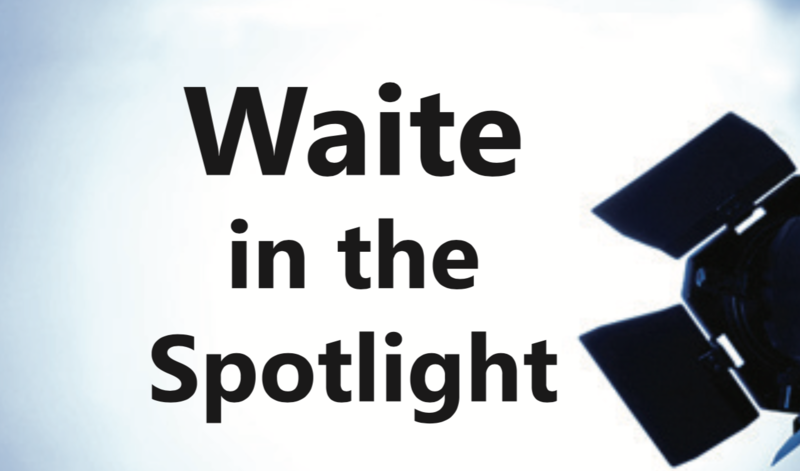 Featuring TEDx-style talks, Waite in the Spotlight is a celebration of the diversity of research at the Waite, what they do, and why it matters. The talks at this event will be short, each focused on a single topic or idea springing from agriculture, food, wine and environmental science and designed to be thought-provoking and interesting to a non-scientific audience. Why should we preserve trees in our cities and towns? Can we grow healthy crops in sandy soils? How important are insects to agriculture? Does the yeast a winemaker chooses really affect the wine produced? Can we really turn food waste into usable new products? Waite research is providing answers to these questions and more! The Waite winery will be open for its annual wine sale for ONE DAY ONLY! Come and try new labelled wines including the 2018 Sauvignon Blanc, 2018 Gewürztraminer, 2017 Shiraz Grenache and 2017 Cabernet Merlot. Wine sale favourites including bin ends, fortified wines, Waite olive oil and cleanskins for $50 per case will also be available. EFTPOS available, no pre-orders! 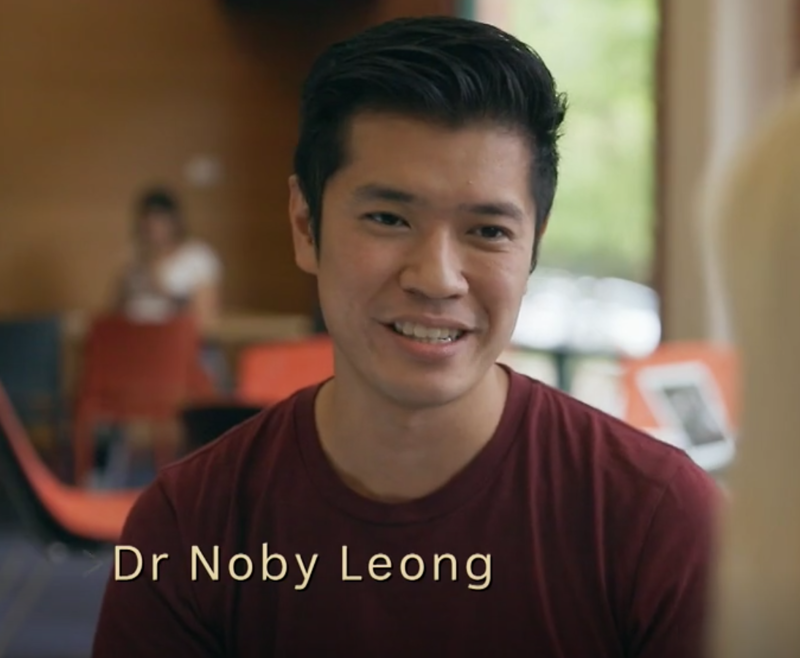 This entry was posted in Events, News and tagged Dr Kate Delaporte, Dr Katja Hogendoorn, Dr Simon Schmidt, Dr Steve Lapidge, Dr Therese McBeath, the waite campus, waite, wine sale. Bookmark the permalink.